In 1927, at the age of two, Anna could not conceive at her tender age what the future held for her. She attempted several times to climb on the slab where her mother lay. When she finally succeeded the arduous climb, she sat beside her mother and sucked her thumb whilst trying to wake her. The candle in the room softened the stark reality of her mother’s death. Anna was born in a village of Old Hungary, Albertsdorf, which was situated in the county of Baranya. Her grandparents, Teresa and Anton, raise Anna and her sister, Kati, as their father abandons them for another woman. 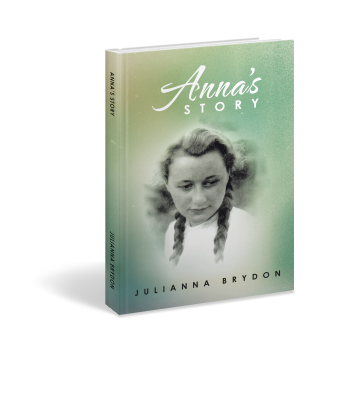 When WWII breaks out, this has a profound effect on Anna and the family. She, like so many others, finds herself in a dangerous dilemma as she comes to realise they are displaced persons and belong nowhere. Anna’s journey from her village will eventually lead her to a man who becomes her partner with the inclusion of a baby girl. They were interrogated in Hungary when they tried to escape to Austria. They eventually end up in Munich and find their way to the American zone. Anna finds her sister in Munich and discovers that their grandmother, Teresa, has died in a prisoner-of-war Yugoslavian concentration camp. They try to stay in Europe without success. The journey ends after they cross the Indian Ocean and find their way to Sydney, Australia, at Pyrmont wharf. This will become Anna’s new home.